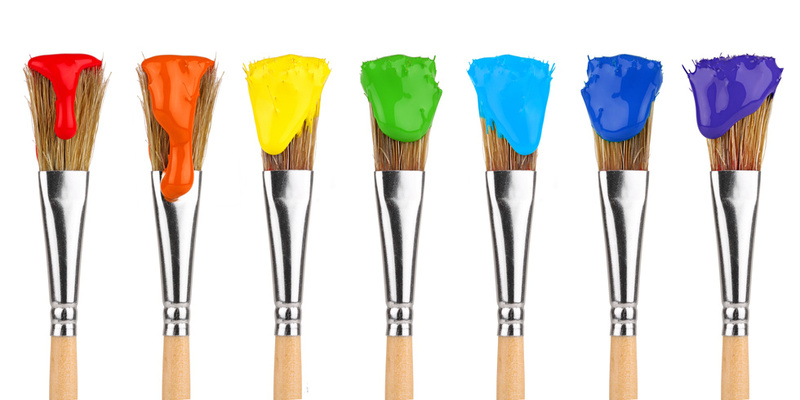 In a two part series, Phil Owens explores the concept of creativity in organisations. In part one, Phil looks at what makes innovation and creativity difficult, and in part two proposes some new ways to approach creativity to make it a core part of your differentiation and success strategy. Creating creativity: Part 1 – what gets in the way? Why do organisations struggle with creativity? How often do you attend meetings that have lofty ambitions to reach agreement, but simply fail? How many ‘innovation’ or ‘creativity’ sessions have you been a part of, only to walk out with the same ideas that always seem to come up? Creativity is such a vital asset for business. Peter Murphy, design instructor in Melbourne points out “Apple is a classic example – they put design at the centre of their business rather than the periphery. As you build an organisational culture around creativity, it creates a way to differentiate yourself from competitors, not just in your manufacturing processes”. In fact, creativity is critical for organisations to keep up with massively changing external circumstances. In the right circumstances, people can be wonderfully creative. Why is it, in most corporate environments, people are notoriously bad at it? In organisations, people, whether as individuals or in groups, are set up to maintain the status quo – especially in their thinking. This means that creativity is not the norm even though creativity, innovation and invention are critical skills for business. When innovation is a ‘forced’ or marginalised activity, it is a difficult process for even the best minds. When creativity is sublimated simply to ‘getting things done’, the culture of the organisation actively works against innovation. Murphy reflects on his own journey “Every creative project that I realised as a designer and educator happened outside of normal working hours – there was simply no room for it during the 9 to 5”. If this is the case for a specialist in the area, what hope to individuals and teams have in corporate organisations? By understanding what stops us being innovative as individuals and in teams, we can start to change our approach to how we think about innovative thinking. In this article we will look at these issues, and in the second article we will investigate what people in organisations can do about it. What stops us being great (creative) thinkers? Thinking is often dominated by a number of critical processes which impact on what outcomes we can achieve. For simplicity, humans use a number of ‘thinking shortcuts’ – known as heuristics – which save energy and processing capacity, and produce ‘acceptable’ answers in most cases. In the majority of situations that we find ourselves in, taking these shortcuts are both efficient and effective. The ability to categorise, for example – when we see something new, we attempt to categorise it into a group that contains things we already have an understanding about. This increases our ability to understand the new thing more quickly, and also to predict its future behaviour. Another example is the ability to extrapolate based upon a pattern (we see half an elephant, we can have a fairly good guess about what we are looking at), which is also often a valuable thinking shortcut. Heuristics also extend to our biases, including confirmation and selection bias. We have a tendency to select from all of the information available that which ‘fits’ what we already know, believe, or have a hypothesis about. Have you ever noticed that if you buy a new car, you suddenly start to see lots of them on the road? Out of all the cars, you are identifying the one that is ‘like’ yours. Heuristics act to reduce thinking and exploration. If we allow heuristics to dominate our thinking, we are not open to innovate, create or challenge our own internal assumptions. We are also impacted by our attentional processes. Our attention to stimuli is controlled by three processes – an evaluation of what is relevant to us, stimuli that we have been primed to search for, and things which are surprising (dehabituated). As we work to be innovative, the things which draw our attention become amplified in our experience (and dominate our thinking). Priming (pre-suggesting what may be a good outcome), dehabituating to relevant input (too many Powerpoint slides) and irrelevance (something which could really impact our process is ignored because it is not relevant to the fixed thoughts we already have) all impact on what we are prepared to think about in our creative process. At a deeper level, we are also impacted by processing capacity and semantic recall. We have the capacity to hold 7+/-2 ‘chunks’ of information in our short term memory. If someone is thinking about something (perhaps constructing a creative connection and a novel idea), then this process can be interrupted by overloading them with other information that they try to add to their short term memory. Unless they have the opportunity to take the time to process, then they have to give up items in the short term memory for new material coming in. When we make ‘meaning’ from an idea, we often draw on our long term memory to provide relevant detail. These semantic (meaning based) recall items them shift into our working short term memory, pushing out new stimuli, and leading to becoming fixed on an idea because it matches what we already know. This keeps us stuck in our old thoughts, rather than doing new thinking. These processes are amplified by stress – when we are pushed into ‘fight or flight’ mode, we are stimulated to action frames rather than exploration frames of thinking. We become heavily biased towards what we know, and patterns of behaviour that we have used before. Our attention narrows as the attentional processes are focused on things which are specifically relevant to ‘immediate safety’. Stress is the enemy of creative thinking. Creating an environment and circumstances where thinking occurs can directly impact the quality of outcomes people are capable of generating. If we consider the things that get in the way of a group making the most of their creative and decision making potential, it is lucky that we get any outcome at all. How people think in groups is limited both by the way that individuals think (covered above), as well as the way that people think, behave and communicate in groups. Have you heard the expression that a camel is just a racehorse that was designed by a committee? This describes what often happens to the outcome even when you get the brightest minds, even with the best of intentions, into the room together. Once we get past the individual thinking process, we are then at the victim of communication strategy and group psychology. Too often people censor what they have to add into the room because of social and power issues. They may feel that their idea has no merit; that they are not significant enough to have an idea of value; or that people may not like what they have to say. I have seen all of these things in play from team meetings up to executive board presentations. Way too often great ideas are stifled through real or imagined fear – of being ‘attacked’, or what people may think when the idea is spoken aloud. There may be a significant power imbalance in the room, were some people have an unspoken ‘authority’ which automatically influences the attention paid to their thoughts or ideas, and other people and their ideas are marginalised. There are also issues relating to the order that ideas are presented. Often an idea presented early will cause priming and direct future thoughts and ideas down the same line of thought, rather than encourage idea expansion (this is why group brainstorming is often a low value creative process!). Categorisation means that people will discount ideas similar to ones that have already been dismissed, even if they are really nothing alike. In groups that are poorly facilitated, great ideas can be spoken, but get lost or are simply ignored. The leader or facilitator has the critical job of paying attention to and catching all ideas and presenting them back to the group. By virtue of their idiosyncratic credit (salience and visibility), ideas that the leader captures and puts forward to the group are more carefully considered. Great facilitation and group leadership is critical in driving innovation and creativity. People in groups may have good ideas, but particularly when the idea is new, they may not have the language or capacity to communicate the effectively. People often need time to process how they have ‘experienced’ an idea into a way they can communicate and share it with the rest of the group. Our idea might start as something vague that we need to build up, and we may need to translate into language and jargon that make it easy for the rest of the group to understand. Groups that rush often shut down creativity of individuals in this way, by not allowing idea formulation to be completed within the individual, or stifle the ability for people to take time to translate their ideas to the group. Group-think is also a critical issue of working in teams. Patterns of thinking emerge that drive thought processes, and often there are acceptable ‘norms’ which are unspoken in a group, including topics which are taboo, topics that are more highly rated, and a shared momentum which leads the group in a certain direction. Even within a group, group-think damages quality outcomes – once an idea appears ‘acceptable’ (particularly by more powerful members of the group), it is ‘easy’ for everyone to also agree. Groupthink often drives sub-standard outcomes as the lowest common denominator option is chosen – what is selected may not be the best idea, however it appears acceptable to the most people. Or, conversely, groups settle on the first idea which is not offensive (or least offensive) to individuals present. (How often have you heard people say “Can you live with that?”). Given the natural constraints operating against creativity in individuals and teams, it takes very determined and specific efforts by organisations to value innovative thinking, and create the conditions where it can occur. Simply calling executives together and announcing “let’s have a brainstorming session” is not enough. People need to time, space, safety and skills to invoke creativity. In part 2 of this article, I will explore a process for enhancing creativity, and how to change the culture to make it more likely.